Back in 2009, I went on a road trip from Alberta to Vancouver, driving through the stunning landscapes of the Canadian Rockies. We stopped in the friendly city of Nelson along the way, staying in the delightful Cloudside Inn. 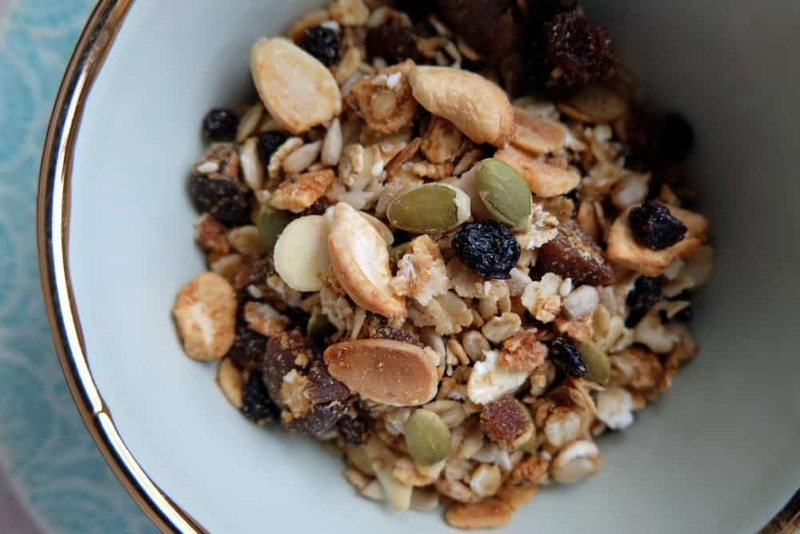 For breakfast, a bowl of deliciously crunchy and wholesome granola was served, the perfect start to our day exploring the Kootenay Lake area. Chris from the Cloudside Inn kindly printed the granola recipe for me back in 2009 and I have made it many times since. 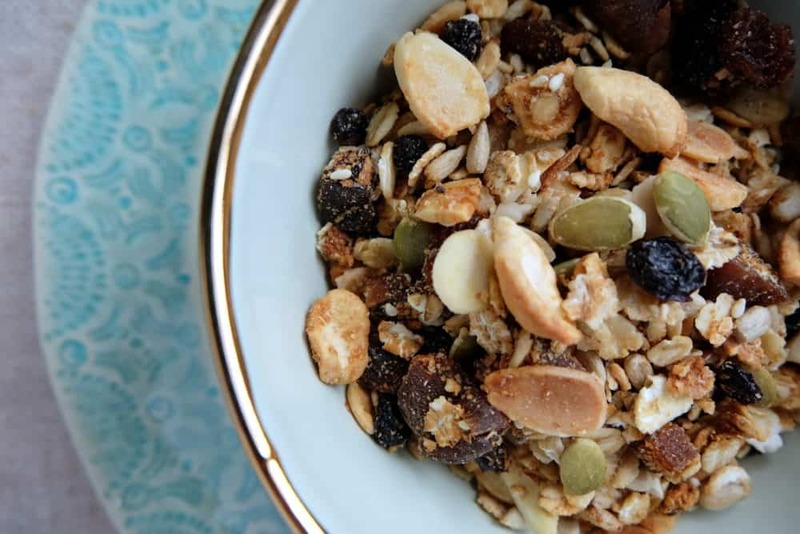 Friends and family love it too, so here it is, the Cloudside Inn Kootenay Granola recipe – with the permission of Chris – for all of you to enjoy. The original recipe cited a warning message: “Large volume – feeds a houseful! !” so I have taken the liberty to half the volume on the recipe. You’ll still get a good big bowl full of granola. Add all dry ingredients and mix well in a large bowl. I sometimes add other seeds such as flaxseed or chia seeds. You can also work with different nuts such as hazelnuts or walnuts. Add oil and maple syrup and mix well. 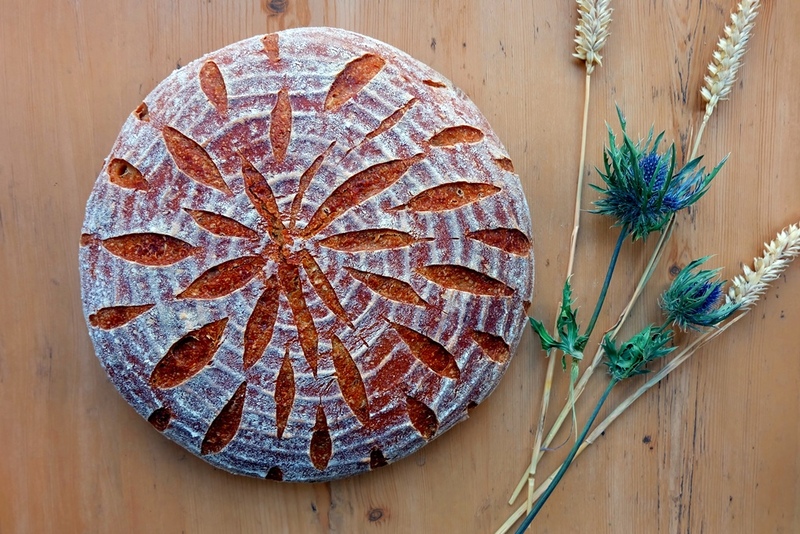 Spread evenly on baking sheets. Bake at 350F/180C turning the mix every 10 – 15 mins until it is an even light golden brown, time depends on oven, but approx. 40 mins in total. Leave to cool, then add the raisins/currants and dried fruit. Enjoy your crunchy granola cereal with milk or yoghurt. Tastes especially good if enjoyed at the Cloudside Inn in Nelson, British Columbia, Canada.